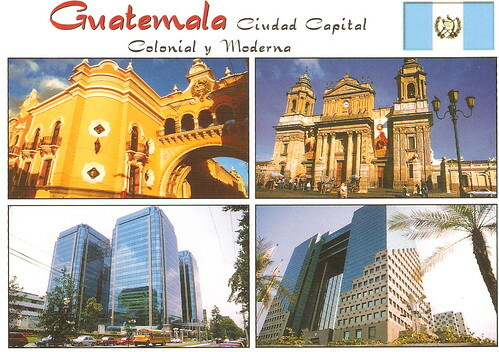 Guatemala is the most populous of the Central American countries with a GDP per capita roughly one-half that of the average for Latin America and the Caribbean. The agricultural sector accounts for nearly 15% of GDP and half of the labor force; key agricultural exports include coffee, sugar, and bananas. The 1996 peace accords, which ended 36 years of civil war, removed a major obstacle to foreign investment, and since then Guatemala has pursued important reforms and macroeconomic stabilization. The Central American Free Trade Agreement (CAFTA) entered into force in July 2006 spurring increased investment and diversification of exports, with the largest increases in ethanol and non-traditional agricultural exports. While CAFTA has helped improve the investment climate, concerns over security, the lack of skilled workers and poor infrastructure continue to hamper foreign direct investment. The distribution of income remains highly unequal with the richest decile comprising over 40% of Guatemala's overall consumption. 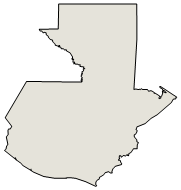 More than half of the population is below the national poverty line and 15% lives in extreme poverty. Poverty among indigenous groups, which make up 38% of the population, averages 76% and extreme poverty rises to 28%. 43% of children under five are chronically malnourished, one of the highest malnutrition rates in the world. President COLOM entered into office with the promise to increase education, healthcare, and rural development, and in April 2008 he inaugurated a conditional cash transfer program, modeled after programs in Brazil and Mexico, that provide financial incentives for poor families to keep their children in school and get regular health check-ups. Given Guatemala's large expatriate community in the United States, it is the top remittance recipient in Central America, with inflows serving as a primary source of foreign income equivalent to nearly two-thirds of exports. Economic growth fell in 2009 as export demand from US and other Central American markets fell and foreign investment slowed amid the global recession, but the economy recovered gradually in 2010 and will likely return to more normal growth rates by 2012. President COLOM, in his last year in office, will likely face opposition to economic reform, particularly over a long-delayed tax reform and an IMF-recommended reform to strengthen the banking sector. Larger budget deficits and increased debt can be expected in 2011.